The space will also have a training centre for Buddhist monks. Works to complete the construction of a museum dedicated to the Dalit icon Dr. Babasaheb Ambedkar has been geared up. The Rs. 41 crores project is being set up in the Chicholi village on Katol Road. According to Nagpur Improvement Trust (NIT), the museum will be ready by the end of the year, as told to TOI. Prashant Bhandarkar, executive officer of NIT, added that approximately 65% of the museum work has been finished so far. “The museum will have 988 articles of personal use of Dr Ambedkar. They were in a bad shape and till now 578 have been restored by National Research Laboratory for Conservation of Cultural Property (NRLC),” he said. The museum will host items such as suits, ties, shoes, socks, typewriter, stoves, chairs, shaving kit, etc. used by Dr. Ambedkar. Central government has sanctioned the funds for the project under the Swadesh Darshan scheme. The total area of the structure will be 11.5 acres which will include a Vipassana centre, uposathagar, anapanasati centre, mass training centre, teachers’ quarters, students’ hostel, dining hall, cafeteria and public toilets. The space will also double up as a training centre for the Buddhist monks. For years now the Indian Buddhist Council (IBC) have been requesting to institute such as centre. The earlier government of Congress-NCP had given a nod to the proposal in-principle. However, that particular piece of land which was to be used for the museum was reserved for a stone quarry. The then CM Prithviraj Chavan did not agree to lift the reservation. It was CM Devendra Fadnavis who made the land available ultimately. Rs. 33 crores of the total sanctioned amount was received by NIT, out of which, works worth Rs. 22 crores has been done. “The project was to be completed by December, 2018, but it got delayed due to various reasons including a directive from social justice ministry to hold the issuance of work order for some months,” Bhandarkar added. “As for the articles used by Dr Ambedkar, the restored ones have been handed over to the IBC, which owns them. When the displays are ready we will shift them there,” said the official. 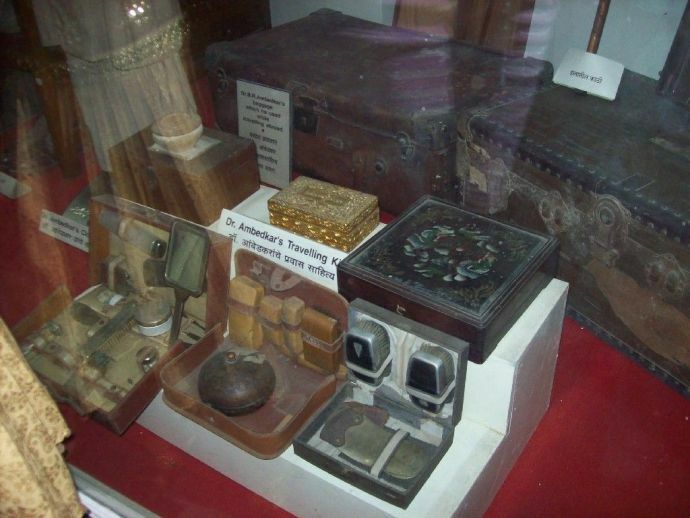 The birthing of this museum dates back to 1956 by a close associate of Dr Ambedkar, Wamanrao Godbole. Godbole started creating the museum after his retirement in 1985 until his death in 2006. A new one will now replace it.